The Kids Adventure Games (Kids A.G.) will return to Vail for its seventh summer,Aug. 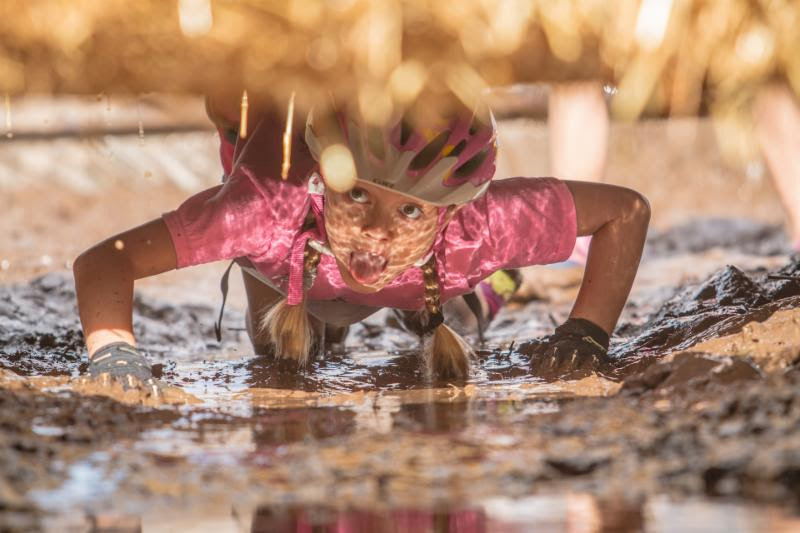 10-14, offering over 700 kids ages six to 14 a race of a lifetime featuring river tubing, zip lines, cargo nets, a giant slope-n-slide, obstacles, repelling, mud pits, hiking, biking and more on Vail Mountain and in Vail Village. Registration is underway and early registration is encouraged following last year's race sellout. Racers will also have an opportunity to participate in skills clinics prior to the races to practice and perfect skills including teamwork, biking, climbing and more. Cost is $160 for a team of two through May 15 and then $180 until the race fills. Skills clinics are optional and cost $55 per participant. Registration for the Vail race and clinics is available here. Whereas most races allow parents to help and coach their kids, Kids A.G. mandates the course as a parent-free zone, keeping them on the sidelines as cheerleaders. According to Kids A.G. Co-Founder, international adventure racer and Race Director Billy Mattison, parents remain astounded at what their kids can accomplish. "Adventure racing is a thrilling sport," said Mattison. "It combines physical and mental challenges, teamwork and good-natured competition - and just as importantly, it's a lot of fun. We're excited to return to Vail and watch the kids grow by challenging themselves throughout the weekend." In addition to three-days of action-packed racing, the event will feature a free Family Adventure Expo. The Family Adventure Expo kicks off the event featuring free fun activities including a climbing wall, Cave of Confusion, meet and greet with Vail's Ski Patrol rescue dogs, photo booth, fly fishing demos, helmet safety checks with Vail Valley Medical Center, a spirit station full of crafting supplies to create cheer cards, product sampling from Horizon Organic, Clif Kid and more. 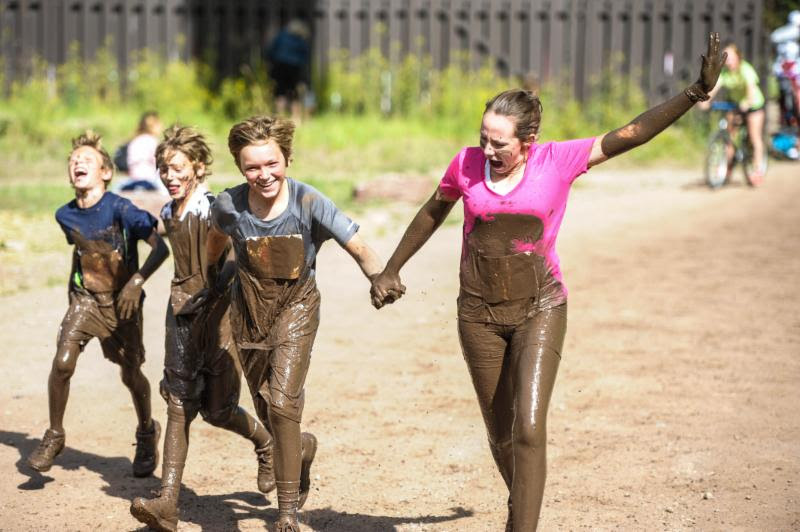 For those who are missing out on the adventure race or are just ready to get down and dirty, the KEEN Family Mud Run returns at 4:30 p.m. Saturday, Aug. 13 at Mountain Plaza in Vail Village. The Mud Run will feature a one-plus mile course with mud pits and is open to all ages. Costumes are encouraged. Costs to preregister are $10 for kids, $20 for adults or $50 for a family of four (two kids, two adults). Registration for the KEEN Family Mud Run is available here. Additionally, those who don't want to be left out of the action are being sought to join in as volunteers and help with the various obstacles, course marshaling, transition areas and the start and finish area during the event. To volunteer, contact Lisa Reeder atLisa@kidsadventuregames.com. The only adventure race of its kind in the nation, Vail's race has seen over 3,000 participants learn self-reliance, grit and resiliency over the past six years and the 2016 Kids A.G. won't disappoint. Vail is the marquee event in the eight-race nationwide series, which is sponsored by Horizon Organic, Clif Kid, GoPro, Town of Vail, Vail Recreation District, KidSPORT, Steadman Philippon Research Institute and the Vail Valley Medical Center. For more information, visit www.kidsadventuregames.com or call 415-827-0560.